We’d love your help. Let us know what’s wrong with this preview of The Ghost Stories of Edith Wharton by Edith Wharton. These 11 spine-tingling tales of the supernatural bring to light the author's interest in the traditional New England ghost story and her fascination with spirits, hauntings, and other phenomena. Fine line-drawings by Laszlo Kubinyi enhance the mysterious and sometimes chilling mood. The triumph of nig These 11 spine-tingling tales of the supernatural bring to light the author's interest in the traditional New England ghost story and her fascination with spirits, hauntings, and other phenomena. Fine line-drawings by Laszlo Kubinyi enhance the mysterious and sometimes chilling mood. To ask other readers questions about The Ghost Stories of Edith Wharton, please sign up. I have just purchased this one. I love reading a lot of tales from many different writers at the same time. I have no idea of what I'm going to find in those stories, but I hope they inspire me somehow because I'm writing some ghost stories as well. Let's see what happens. The first one I'm going to read is 'Afterward'. Done, I have chosen it at random! Have I made the right decision? If you read about ghosts in order to be filled with dread, then Edith Wharton may not be your favorite supernatural author. On the other hand, if you are a fan of elegant realistic fiction but like a few chills from time to time, Wharton's ghost tales may belong at the top of your list. Each of Wharton's stories is a subtle exercise rooted in everyday reality, and the ghostly presences--such as they are--emerge from the nourishing soil that constitutes her finely crafted realism. Many of her stories touch on the cruelty of domestic power relations, not only between husbands and wives, but also between mistresses and their servants. Specters haunt those who once had the power to change things for the better but did not do so, and visit the living not only as a reproach for past sins, but also as a silent exhortation for redress. Edith Wharton may be an unlikely ghost story writer, but she does it rather well. As you would expect they are well written and have subtlety and nuance and don’t have the gore and bludgeoning of some modern horror. There is a sprinkling of the gothic, a few rambling and creepy houses and a variety of settings: England, the eastern US states, France and the desert in an unspecified Middle Eastern country. Some of the tales aren’t really ghost stories, but explore everyday moral dilemmas and huma Edith Wharton may be an unlikely ghost story writer, but she does it rather well. As you would expect they are well written and have subtlety and nuance and don’t have the gore and bludgeoning of some modern horror. There is a sprinkling of the gothic, a few rambling and creepy houses and a variety of settings: England, the eastern US states, France and the desert in an unspecified Middle Eastern country. Some of the tales aren’t really ghost stories, but explore everyday moral dilemmas and human conflicts in an innovative way. Most of the stories take place in daylight (or even artificial light) amidst modern technology (modern for when they were written). Several of the stories do explore the relationship between servants and their employers and the tensions between the two. Locks and keys play a significant role. All Souls is an interesting Halloween story that makes more sense when you know it was written at the end of Wharton’s life, the last story she wrote before her death. The sense of helplessness, collapsing competence and fear of the unknown are very telling. There are some interesting explorations of the nature of marriage (Pomegranate Seed in particular) and relations between the sexes, although Bewitched has an interesting take on the sexual motivations of men and their ability to control them. Edith Wharton, delicate yet cruel, casts a cold eye on the misdeeds and toxic egos of men, and an occasionally more empathetic one on women and their struggles, in this collection of beautifully written stories. Precise prose: each sentence has a crystalline clarity, a careful distillation of words and ideas. Gorgeously atmospheric imagery: Wharton knows her way around sprawling manors of course, but has equal talent at evoking lonely moorlands, quiet roads at dusk, even a nearly empty fortress Edith Wharton, delicate yet cruel, casts a cold eye on the misdeeds and toxic egos of men, and an occasionally more empathetic one on women and their struggles, in this collection of beautifully written stories. Precise prose: each sentence has a crystalline clarity, a careful distillation of words and ideas. Gorgeously atmospheric imagery: Wharton knows her way around sprawling manors of course, but has equal talent at evoking lonely moorlands, quiet roads at dusk, even a nearly empty fortress in the Middle East. The sort of menacing ambiguity in which Robert Aickman would eventually specialize: there is no jarring, thudding obviousness in any of the horrors. A rather sour tang of misanthropy that makes the collection less than perfect - often coming out in some unnecessarily mean-spirited descriptions of various characters. And yet a clear genius in showing the depth and relatability of her characters: many times I saw myself in these disparate protagonists, be they men or women, young or old. "All Souls'" was written the year of Wharton's death. An unnerving and surprisingly strange story about an inexplicable loss of time, of sorts. This portrait of an older woman recovering from an injury, waking up in a house where everyone else seems to have disappeared, was both prosaic and nightmarish. "Kerfol" has a young man visiting a French manor, a tragic tale within a tale about a wife suffering appalling emotional abuse from her noble husband, the well-deserved, bloody end of said nobleman, and a winsome yet eerily silent band of diverse ghost dogs who haunt the manor grounds. "Pomegranate Seed" has an unhealthy attachment between living husband and dead but still quite controlling wife. It also has the most resonant title in the collection - and the myth the title comes from isn't even mentioned in the story. Loved both the subtle irony of that title and how it enhances the mystery of the tale. and especially "Mr. Jones", which includes many features of prior stories: an independent, not-so-young heiress and a sprawling, creepily underpopulated mansion, a menacingly passive-aggressive ghost, and another horrific tale within a tale of an emotionally abused wife... and yet for me this was the most striking of the stories. All of those elements coalesced into perfection, delivering a story ripe for contemplation. Plus an especially ghastly murder at the end, when the ghost - in a fit of temper - becomes rather less than passive. I actually read the Appleton Century hardcover edition of this collection, published in 1937. I was unable to find this book on Goodreads, so had to go with the collected stories published in 1973, eye roll. Oh the petty things that frustrate me to no end! I think I would make a good ghost. 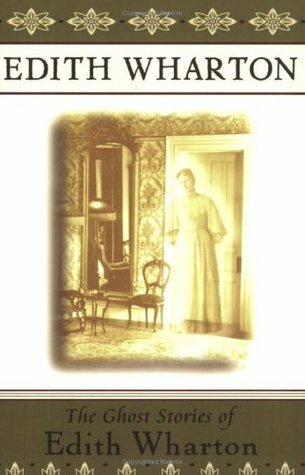 This is an interesting collection of 11 Ghost Stories which are short stories written by Edith Wharton spanning from 1909 through 1937. The following stories are listed & a brief review. All these stories are a different kind of ghost story which have outcomes with uncertainty & bewildering. Many stories have you wondering how it will end & your own imagination will have to suffice. The Lady's Maid Bell- 1902 Hartley is in need of a job after recovering from a lingering illness. 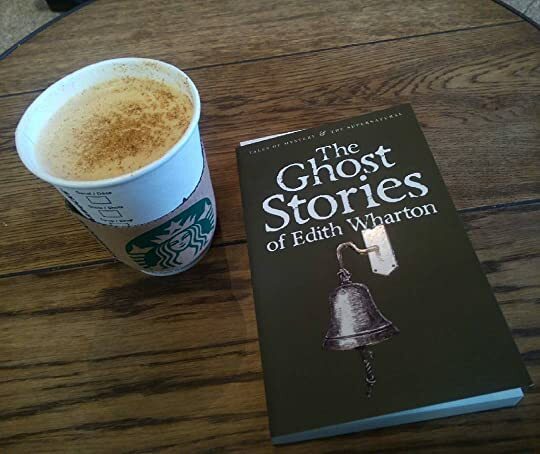 Due t This is an interesting collection of 11 Ghost Stories which are short stories written by Edith Wharton spanning from 1909 through 1937. The following stories are listed & a brief review. All these stories are a different kind of ghost story which have outcomes with uncertainty & bewildering. Many stories have you wondering how it will end & your own imagination will have to suffice. The Lady's Maid Bell- 1902 Hartley is in need of a job after recovering from a lingering illness. Due to this many not wanting her help but she finds employment as a Lady's maid where many maids don't last a fortnight. Afterward - 1909 An American couple seek life in a castle in England occupied by ghosts unseen. Living there for many months without a ghost in sight, they are disappointed but should they have left well enough alone? The Eyes- 1910 Ghost stories are being told by old Culwin's friends but it becomes clear that Culwin has seen some of his own! The Triumph of Night- 1914 Faxon on his way to his new employer finds a friend in young Rainer who is quite sickly. Faxon starts seeing a dark sinister man not seen by others that makes him wonder about his friends safety. Kerfol- 1916 What are Yves de Cornault's secrets regarding his wife & the little dogs who guard the castle? Bewitched- 1925 Three men are summoned to help Saul Ruthedge & his wife right something that seems impossible. Miss Mary Pask- 1925 Visiting a relative in England for a friend who is found dead but seems alive at night only & without a single visitor. Mr. Jones- 1928 Lady Jane Lynke inherits the Bells estate but Mr. Jones is invasive caretaker which seems quite not what he seems. Pomegranate Seed- 1928 Charlotte's husbands receives mysterious letters which her husband refuses to explain & leads to upset. The Looking Glass- 1935 Mrs. Attlee helps out a wealthy friend to help lessen her pain. All Souls- 1937 Sara Clauburn stays at Whitegate after her husband's death & has an experience which seems to be the spookiest of all the stories to me. One excerpt from Wharton's preface-I found this interesting from her perspective on cinema/movies on the effect on the readers & books. Love this quote! "But in a few years more perhaps there may be; for, deep within us as the ghost instinct lurks, I seem to see it being gradually atrophied by those two world-wide enemies of imagination, the wireless and the cinema. To a generation for whom everything which used to nourish the imagination because it had to be won by an effort, and slowly assimilated, is now served up cooked, seasoned and chopped into bits, the creative faculty (for reading should be a creative act as writing) is rapidly withering, together with the power of sustained attention; and the world which used to be so grand ala charte des lampes is diminishing in inverse ratio to the new means of spanning it; so that the more we add to its surface the smaller it becomes." "Oh, facts-what are facts? Just the way a thing happens to look at a given minute..."
Some might feel that Wharton was out of her element here, but I found these perfectly jewel-like tales. They are, as is to be expected, stylistically elegant -- Wharton doesn't lower her standards just because she's writing in a sometimes-maligned genre. These are classic "literary" ghost tales, best appreciated for the subtle shadings of tone and rich evocation of atmosphere. There are (this being Wharton, after all) heavy infusions of social class and the weight this imposes on the central cha Some might feel that Wharton was out of her element here, but I found these perfectly jewel-like tales. They are, as is to be expected, stylistically elegant -- Wharton doesn't lower her standards just because she's writing in a sometimes-maligned genre. These are classic "literary" ghost tales, best appreciated for the subtle shadings of tone and rich evocation of atmosphere. There are (this being Wharton, after all) heavy infusions of social class and the weight this imposes on the central characters. In order to fully appreciate these stories, readers need to let them unfold gradually and not feel impatient with what may at times seem peripheral elements. It all comes together; the patient reader is rewarded. My husband and I enjoy reading Edith Wharton stories to each other, and in fact have managed to get through all, or at least nearly all, of her shorter works in this manner. I love her writing and these stories are no exception but, as other GR members have mentioned, these stories are not horrifying and some are not even scary. They are simply great stories, some of them chilling and others sad. I got off to a rough start with this one because I didn't like the first two stories. I persevered and I'm very glad I did because I enjoyed these stories tremendously. There was a remarkable range of types of stories and causes of the events. I really should read the deliciously creepy All Souls' every year on Halloween. Edith Wharton has written what I term "genteel" ghost stories, with a variation in success if achieving a sense of mood and dread are the measure. There are several that I specifically enjoyed, "Afterward", "Kerfol", "The Triumph of Night", "Mr Jones". All are well written of course (it seems silly of me to judge Wharton). 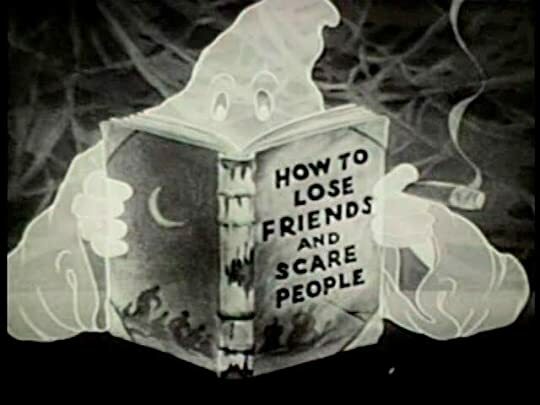 If I judge them as ghost stories then some don't seem as successful. "Eyes" in particular seems a let down (as discussed in the story section). Overall though I find the storie Edith Wharton has written what I term "genteel" ghost stories, with a variation in success if achieving a sense of mood and dread are the measure. There are several that I specifically enjoyed, "Afterward", "Kerfol", "The Triumph of Night", "Mr Jones". All are well written of course (it seems silly of me to judge Wharton). If I judge them as ghost stories then some don't seem as successful. "Eyes" in particular seems a let down (as discussed in the story section). Cover of the 1976 Popular Library mass-market. 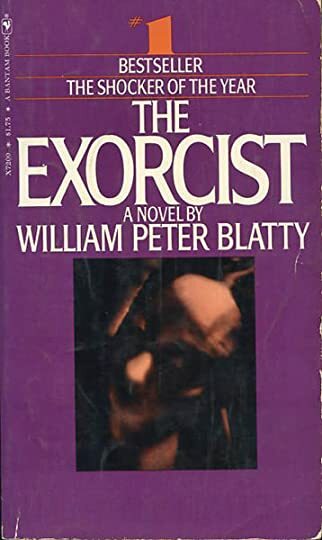 You can tell it's post-Exorcist, as it definitely imitates the style, as did a lot of horror or occult-themed paperbacks of the day. Not too scary more of was that a ghost or a real person! I am going to put this on hold indefinitely. I do want to finish it but I am struggling. Some of the stories are okay and some I don't get at all. The only one that has stuck with me is "Afterward", which I have read once before and also seen on the telly. Moving to "abandoned" so it isn't constantly looking over my shoulder on the main page. Who Are the “Real” Ghosts? Up to now I have never read anything by Edith Wharton but after these 15 fascinating ghost stories Mrs. Wharton is definitely on my reading list. I would be hard put to choose my favourite from among those tales of the supernatural but if I had to make a choice, I would probably vote for “Bewitched”, where a married farmer is haunted by the ghost of a young woman with whom he seems to be carrying on an affair. (view spoiler)[Or is it not a ghost at all but the young gir Who Are the “Real” Ghosts? Up to now I have never read anything by Edith Wharton but after these 15 fascinating ghost stories Mrs. Wharton is definitely on my reading list. I would be hard put to choose my favourite from among those tales of the supernatural but if I had to make a choice, I would probably vote for “Bewitched”, where a married farmer is haunted by the ghost of a young woman with whom he seems to be carrying on an affair. (view spoiler)[Or is it not a ghost at all but the young girl’s sister? (hide spoiler)] Having made my choice, I am already wondering why I did not pick “All Souls’”, or “Afterward”, or “The Eyes” or “Pomegranate Seed” because they all rank among the finest ghost fiction I have read, and I have read a lot of ghost stories in my life. Edith Wharton’s stories remind me of Henry James’s The Turn of the Screw but also of the haunting tales of M.R. James in that they conjure up indirect horror. In your traditional ghost story, the spectres often have explicable motives, e.g. redressing old wrongs, and this often tones down the effect of horror, which is based on the knowledge that our familiar patterns of reasoning won’t get us very far. Simultaneously, Wharton’s stories are not just meant to chill the marrow of our spines but they also seem to address social wrongs: Most of the stories are focused on relationship problems, on exacting and jealous husbands, on dominant and controlling wives, on class distinctions between servants and their masters – “The Lady’s Maid’s Bell” and “All Souls’” – and on people who have lost their ability to aptly interact with their surroundings as they are stalemated by their adherence to social conventions. Ironically, some of the flesh-and-blood characters in Wharton’s stories are more ghostly, or at least as ghostly, as the Wanderers from Beyond she invites into our vespertine reading hours. 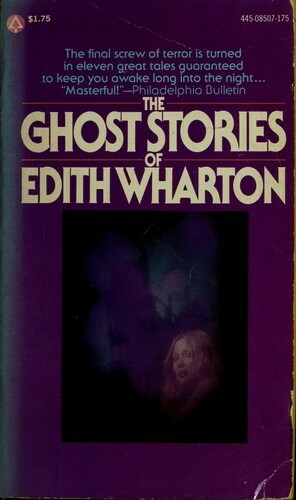 Anyone who is interested in subtle, breath-taking ghost stories should read Edith Wharton’s. Scritti a più riprese fra il 1909 e il 1937, questi undici racconti si inseriscono nella ghost-literature tradizionale, dando un notevole spazio a problemi quali le differenze di classe, il rapporto moglie-marito, gli obblighi di seguire convenzioni prestabilite. L'orrore della Wharton è costruito, in modo insistente e lento, su un preciso tessuto sociale di ingiustizie e crudeltà quotidiane di cui gli spettri sono una conseguenza inevitabile. Nella mia edizione (Bompiani - I delfini, 1995), un'il Scritti a più riprese fra il 1909 e il 1937, questi undici racconti si inseriscono nella ghost-literature tradizionale, dando un notevole spazio a problemi quali le differenze di classe, il rapporto moglie-marito, gli obblighi di seguire convenzioni prestabilite. I found several of these to be rather anti-climactic, but the longer, more character-driven stories worked really well: "Afterward", about a husband and wife who buy an old country estate with a ghost they won't know about until "long, long afterward"; "The Triumph of Night", in which a doppelganger threatens an ill young man; and "The Pomegranate Seed", a chilling tale of a second marriage and a first wife who won't let go. On the other hand, Edith Wharton is a fantastic twentieth century author. Though I find her full length books a bit meandering, she is the master of the short story. (I have similar feelings about Henry James.) All of these ghost stories are interesting, easy to read, and paint a fabulous picture of life in the early twentieth century in New England and abroad. Even if you couldn't quite stomach The Age of Innocence or The House of Mirth, any collection of her stories is worth a second look. I always enjoy her writing, but this sort of genre-thing is not what Edith does best. Read House of Mirth instead, and Age of Innocence. Then House of Mirth again. Read as a part of a postal book club. My first Wharton and not characteristic of her other writing, I gather. I am not much of a horror fan but I do enjoy suspense and stories that might involve the unexplained. In some cases, the stories themselves were unexplained, unresolved, or so open to interpretation it seems there continues to be uncertainty as to what had happened. I enjoyed the atmospheric writing and misdirection or plot twists (not so much plot twists as twists in characters’ ideas of Read as a part of a postal book club. My first Wharton and not characteristic of her other writing, I gather. Terminato! Racconti scritti divinamente,ma appunto RACCONTI,motivo per cui non ho dato 4 stelle ma solo 3. Purtroppo non riesco a entrare bene in una storia quando questa si sviluppa in poche pagine. Ad ogni modo è stato un piacere conoscere la Wharton, e la approfondirò presto,perché la sua penna,i suoi personaggi,le ambientazioni, sono particolarmente affascinanti! Non so se si può considerare spoiler,ma i racconti non hanno dei veri e propri finali; molto spesso (quasi sempre) viene lasciato t Terminato! Racconti scritti divinamente,ma appunto RACCONTI,motivo per cui non ho dato 4 stelle ma solo 3. Purtroppo non riesco a entrare bene in una storia quando questa si sviluppa in poche pagine. Ad ogni modo è stato un piacere conoscere la Wharton, e la approfondirò presto,perché la sua penna,i suoi personaggi,le ambientazioni, sono particolarmente affascinanti! edith sure can write a sentence ! There's quite a few tales about people waiting for an absent person to return and wondering if they'll never return, as repetitive as that might be, these are probably the best stories in the collection. There's a humorous non-horror story that Wharton seems to regret writing (keep in mind the contents of this book varies in different versions, I have the 2009 Wordsworth version) but it has an ecstatic description of a church and I liked the way she compares women to houses with lots of rooms. W There's quite a few tales about people waiting for an absent person to return and wondering if they'll never return, as repetitive as that might be, these are probably the best stories in the collection. There's a humorous non-horror story that Wharton seems to regret writing (keep in mind the contents of this book varies in different versions, I have the 2009 Wordsworth version) but it has an ecstatic description of a church and I liked the way she compares women to houses with lots of rooms. Wharton mocks some of her characters a bit much, I've never liked it when characters seem to be like punching bags that represent people the writer doesn't like. "Kerfol" is probably my favourite of the lot. I read this book for the first time nearly twenty years ago. My book club is reading it now for our late October meeting. I gave this book five stars based on my first reading. I'm eager to see what I think of it nearly twenty years later. I have now completed my second reading and was delighted by this collection of ghost stories. I will grant that many of the endings are enigmatic and elliptical, but the progress of each story is so beautifully written that I will keep my five-star rating for I read this book for the first time nearly twenty years ago. My book club is reading it now for our late October meeting. I gave this book five stars based on my first reading. I'm eager to see what I think of it nearly twenty years later. Esta recopilación de tres relatos de fantasmas de Edith Wharton es interesante porque las historias son muy diferentes entre sí a pesar de tener elementos en común. Quizá son un poco predecibles para el lector moderno, acostumbrado a todo tipo de películas de miedo con elementos sobrenaturales, pero la autora tiene un estilo impecable y me gusta que los fantasmas aparecen como reflejo de la vida de los protagonistas, en relación con secretos y actitudes de los personajes. These stories are somewhat clever, but not very scary. The only story that I found even remotely scary was about a French chateau that was haunted by dogs. I know it sounds stupid, but it kind of creeped me out. However, the rest of the stories were pretty predictable--they might have scared you if you were living in 1910 and reading them by candlelight, but they're not going to scare you in today's world. Edith Wharton trascendió como la primer mujer en recibir un Premio Pulitzer por su novela ya clásica "La edad de la inocencia", en 1921, y aunque en forma general, su nombre no se asocia en forma típica con el horror, lo cierto es que si incursionó un poco en esos temas, de lo que esta colección da buena muestra. La mayoría de los once relatos presentados en la edición que me tocó leer (la de Editorial Alianza del 2010), están escritos en una forma que recuerda bastante a la literatura gótica del Edith Wharton trascendió como la primer mujer en recibir un Premio Pulitzer por su novela ya clásica "La edad de la inocencia", en 1921, y aunque en forma general, su nombre no se asocia en forma típica con el horror, lo cierto es que si incursionó un poco en esos temas, de lo que esta colección da buena muestra. La mayoría de los once relatos presentados en la edición que me tocó leer (la de Editorial Alianza del 2010), están escritos en una forma que recuerda bastante a la literatura gótica del Siglo XVIII en su tratamiento, de modo que, cuando la autora hace ciertas concesiones a la modernidad, ya tan solo por contraste logra un efecto de desorientación en el lector que refuerza el impacto del conjunto de los relatos. Es perceptible además, la influencia de Henry James en el estilo de la autora. En conjunto, logra una buena colección, que no resulta aburrida aunque en ocasiones, uno debe de poner mucho de su parte para que funcionen ciertos relatos. Ya saben, hay ciertas situaciones que a lo mejor eran más faciles de asimilar hace un siglo que en estos días, y a veces, los personajes de ls Wharton ¡pecan de "simplones"! "El grano de la granada"
"El triunfo de la noche"
Edith Newbold Jones was born into such wealth and privilege that her family inspired the phrase "keeping up with the Joneses." The youngest of three children, Edith spent her early years touring Europe with her parents and, upon the family's return to the United States, enjoyed a privileged childhood in New York and Newport, Rhode Island. Edith's creativity and talent soon became obvious: By the a Edith Newbold Jones was born into such wealth and privilege that her family inspired the phrase "keeping up with the Joneses." The youngest of three children, Edith spent her early years touring Europe with her parents and, upon the family's return to the United States, enjoyed a privileged childhood in New York and Newport, Rhode Island. Edith's creativity and talent soon became obvious: By the age of eighteen she had written a novella, (as well as witty reviews of it) and published poetry in the Atlantic Monthly. In 1913 Edith divorced Edward. She lived mostly in France for the remainder of her life. When World War I broke out, she organized hostels for refugees, worked as a fund-raiser, and wrote for American publications from battlefield frontlines. She was awarded the French Legion of Honor for her courage and distinguished work. The Age of Innocence, a novel about New York in the 1870s, earned Wharton the Pulitzer Prize for fiction in 1921 -- the first time the award had been bestowed upon a woman. Wharton traveled throughout Europe to encourage young authors. She also continued to write, lying in her bed every morning, as she had always done, dropping each newly penned page on the floor to be collected and arranged when she was finished. Wharton suffered a stroke and died on August 11, 1937. She is buried in the American Cemetery in Versailles, France.